You are here: Home / Giveaway / Shop Til You Drop Black Friday Gift Card Giveaway-2 winners! 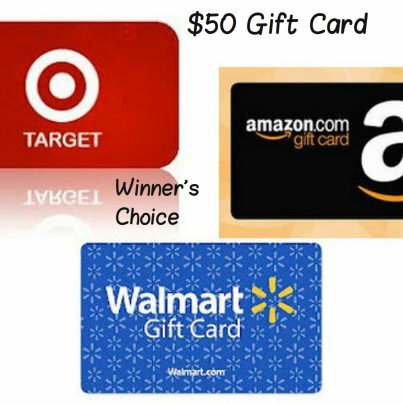 Shop Til You Drop Black Friday Gift Card Giveaway-2 winners! 2 lucky winners will each receive a $50 Gift Card to the store of their choice! Are you going out for Black Friday? Will you be scouting out the local shops for Small Businesses Saturday and scouring the web for great deals for Cyber Monday? No matter what your shopping preference is, if you are looking to save money this holiday shopping season, you have come to the right place! 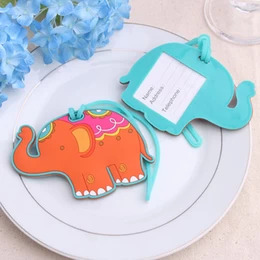 This Giveaway is all about YOU & YOUR CHOICE! You can choose Paypal, Walmart, Target, Amazon, a favorite restaurant, local shop, etc. You can use it on Black Friday while wrestling the crowds and waiting in the cold long lines, you can use while shopping in your pj’s and sipping your hot cocoa on Cyber Monday OR you can use it Christmas Eve! The choice is yours! The winner will be receive their gift card before Thanksgiving so you will be armed and ready for the busy shopping season! Black Friday shopping was never really my thing and I prefer to do it online where the madness is nowhere near me. I did go out last year and it wasn’t that bad. It was a quite peaceful experience. Thanks to Cook’n, (our awesome sponsor), for setting up this timely giveaway! Cook’n Recipe Organizer is an easy to use program that makes recipe management and organizing a breeze on your home computer. It is a Recipe Organizer, Menu Planner, Grocery Shopping Assistant, Nutritional Analyst, and a Family Cookbook Maker. This program can do so many things! They have sold over 3 million copies! 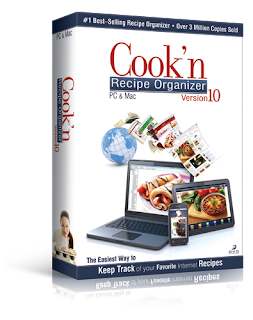 There is a 200% Guarantee…you can’t beat that, so check out Cook’n Recipe Organizer today! A big thanks to the bloggers that are sharing this giveaway so you could know about it! Entering to win is easy to do by filling out the rafflecopter form below. This Giveaway is open World Wide to people ages 18+. Winners will be chosen by random.org, emailed and have 24 hours to respond…..BUT WAIT….Cook’n has sweetened the deal! They are also hosting another giveaway so not only 2 but 4 Lucky fans will each win a $50 Gift Card! After you fill out your entries on this rafflecopter form, please head over here to enter to win one of the other two $50 Gift Cards! GOOD LUCK on BOTH Giveaways! Disclosure: I received no Monetary Compensation for sharing this giveaway. Bbproductreviews is not responsible for prize fulfillment. Yeppers I live for Black Friday sales !!! Probably not, unless it’s online. I have no tolerance for the chaos, plus half the time, you push through the crowds and wait in line and still don’t get the item you were after. Like.. the store may only have like 5 available and it’s just not worth it to me. Heather Walter recently posted..Come and GET IT While you Can! Yes we will be shopping. Yes, but only online shopping! I would love to but I have to work…….. I will probably do some Black Friday shopping online. Yes we will be going, we make it a family thing every year. Nope..just babysitting for my daughter because she is going! Yay this sounds so fun!!! I will probably shop online. I am going to be brave nd go to walmart this year! i have to work but im hopin we can fit it in! It’s my favorite day of the year! Can’t wait! Elizabeth G recently posted..Creative Help Wanted! Nope! I do not want to go out in that madness. Its not worth getting beat up for a sale item, People get nasty! Yes, we have most of our shopping done, but will be finishing up on Black Friday. Dont know yet. I may do some online shopping. No way!! I don’t like shopping as it is & I really don’t like the crowds & rude people!! I hate to but i’m gonna be visiting my mom and im pretty sure she wants to go… ughhh!!! hate the crowds! I will definitely be Black Friday shopping!! To Walmart I go come 8pm thanksgiving!! i wasnt going to shop on black friday but if i win one of these cards i will have to rethink it!! Nope, I won’t. Companies don’t respect their employers enough. If there is a deal I can’t live without then I will. Otherwise it will all be online. Thank you for the giveaway! I have to work so I will probably shop Thursday night or online. Lol! I plan on starting Thursday and work my way into Friday. Yes- Online.. to get started. I think I will not get out and about. Too many greedy crazy people. Plus I like to shop in my PJs. If I do, it’ll all be online. Black Friday has gotten out of control. When crowds will trample & kill someone, I think I’d rather stay home. Mostly online. Maybe a couple of stores. Nope… I have to work – but I’m kind of glad…. Have never been much of a Black Friday shopper…. But good luck to all of you that do head out! Yes, but not as much as years past. I will not for two reasons: First I don’t have the money, second if I did I don’t think the deals are good enough to get me out in that chaos. Absolutely! It’s been a tradition with a friend of mine for the past 4 years (and I’ve done it pregnant twice!). Late in the day after everyone else is home from being up shopping all night!!! maybe, have not made up my mind yet,i like online shopping best. Im going to try and do some at the stores down the road, and a few things online during the day… but Not going crazy on black friday like last year! I might have to work, but if I dont I will be shoppin like crazy!!! If I find some good deals, sure why not. NO! I’m 35 and NEVER went shopping on Black Friday. To much craziness for me. I really wan’t to go to Target! But i will probably stay home and eat some more pie lol. No, I have some things on layaway for my daughters as I never have a large sum of money to pay out at one time for gifts or black friday deals. Yes, I always do. It seems more like Christmas being out with everybody and waitng. I talk to everybody so we have a good time. Lots of bargins too. No black Friday for me. I would love to win this to go black Friday shopping actually our house just burned down so we will be shopping for things we need for another house, thanks for the chance! Nope don’t like crowds I guess I might shop online. Nope! I never have before and I don’t see that changing this year!! Online only……I prefer not getting run over by mad ole ladies with shopping carts!